Are you relocating to another state for your job, school, or work? Or, maybe you are traveling or moving somewhere new for fun! Whatever the reason, you might be in need of car transportation services. And while there are many different auto shipping companies out there, not all of them provide efficient, reliable services – and the services that you need. So, to discover the right company for you, you’ll have to do some research. There are many companies that claim to have the best prices and the best services. However, before committing to one, make sure that the company you use can provide the services you need. Do they ship the type of vehicle you need shipped? Do they have experience in the industry and positive reviews to back them up? And, do they have the proper license and insurance to transport vehicles? You should check all these things before making a decision! Before making your final decision, you should also look at any feedback provided by previous clients. This can help you determine the type of service that the shipping company provides. This includes anything from blog forms to review websites and more. If you’re interested in reviews from customers of Portland Car Transport, please check out our customer review page! When you work with a professionally trained car shipping company, you can be sure that you are getting the best services. 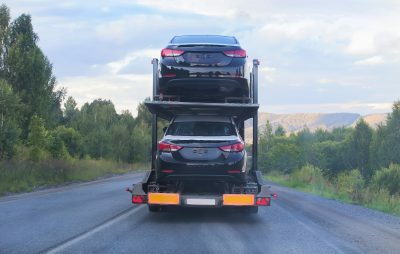 With a company like Portland Car Transport, you’ll have an experienced team at an affordable price. Sometimes companies offer very low prices but do not deliver adequate services. At Portland Car Transport, we do our best to provide the best services at a fair price for our customers. We know how important your car is to you, so we will do our best to ship it with no problems or inconveniences. Our prices also vary, as each individual shipment is unique. It depends on the type of car or vehicle you need shipped, the dates you want them delivered, and the distance of the shipment. If you want to learn more, you can check out our quote page for a free quote for our shipping services! Contact us at Portland Car Transport for more information and to get started on your car shipping experience!